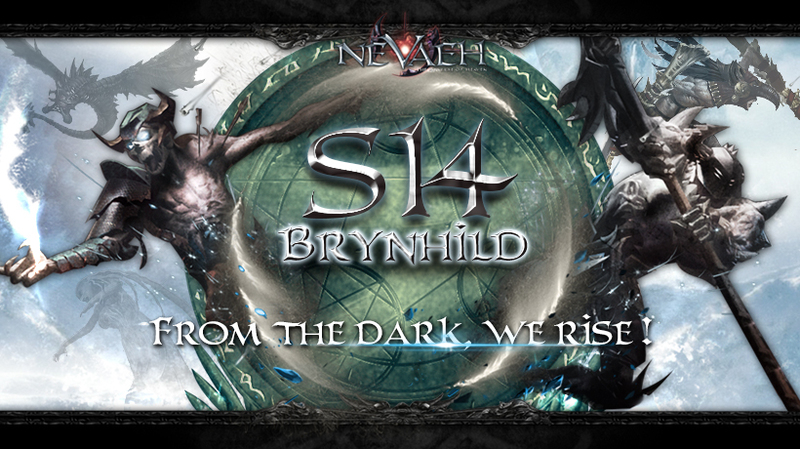 S14 Brynhild would be launch at 25th July 2017 !! Brave adventurers around the world, Grab your phone immediately and join us in the amazing world of NEVAEH !! As a celebration for new server launching, we had prepared lots of exciting open server events to assist our adventurers and to rescue the world ! Event 1, Server Launch Giveaways! Event Period: Player created character and continuously login for 7 days. Event Details: After the server launched, player could receive daily rewards when they login, any top-up amount could receive Grade S' Gale Knight Soul! Event Details: After server launched, top-up any amount could receive Red Quality Weapon, Armor and Boots. Event Details: After server launched, VIP5 could spend 2500 diamonds to purchase Growth Funds, instant rebate 1500 diamonds and while character reached Lv5, 10, 15 ,20 ,25, 30, 35, 40, you would receive a total rebate of 10100 Diamonds, and there is no time limit for diamonds claim. Event Details: After server launched, every player accumulated a specified online times could receive Coins, Purge Ticket, Soul Gem, Grade A Star Upgrade Gem, Stamina Potion ( Small ), etc as rewards. Event Details: After server launched, character would receive exciting rewards while them reached Lv5, 10, 15 ,20 ,25, 30, 35, 40, 45, 50, 55, 60. Tips: Claimable at Game Interface > Benefits. 1. Daily Attend could receive rewards, even if you miss the attendance, you could spend diamonds to re-attend. 2. Accumulate attended 3, 7, 14, 21, 28 days, could additional receive diamonds and rare treasure chest. Tips: Would reset at Day 1 of every month.